Starting with the establishment of Crown Heights as a Caribbean enclave in the 1960s, through Franklin Avenue’s emergence as a restaurant row in the 2000s, the central Brooklyn neighborhood has managed to maintain a culinary identity largely liberated from the fussy, chef-driven trends of Manhattan, while still serving food that’s worth going cross-borough for. The area, which is bordered by Atlantic Avenue to the north, Empire Boulevard to the south, Ralph Avenue to the east, and Washington Avenue to the west, is now an amalgamation of distinctive restaurants and the only place in the city where you can get unforgettable jerk chicken down the street from a queer diner with impeccable baked goods. 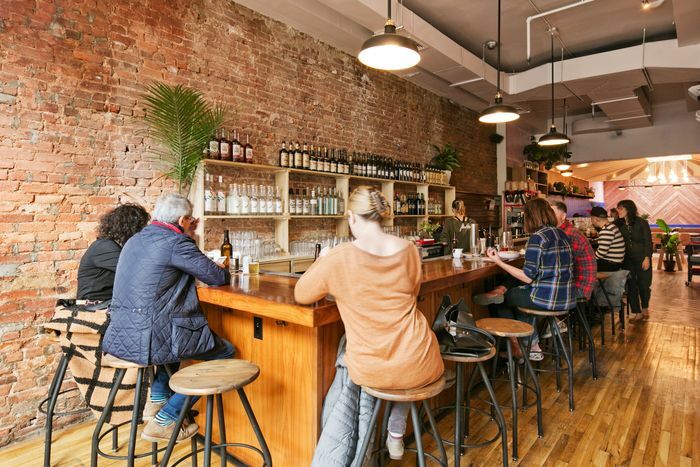 Here are the absolute best restaurants in Crown Heights. In a neighborhood known for its wealth of Caribbean restaurants and bounty of bars, a tasting-menu restaurant stands out. Especially one with food as inventively conceived and meticulously crafted as Oxalis, named for an edible plant in the wood sorrel family. 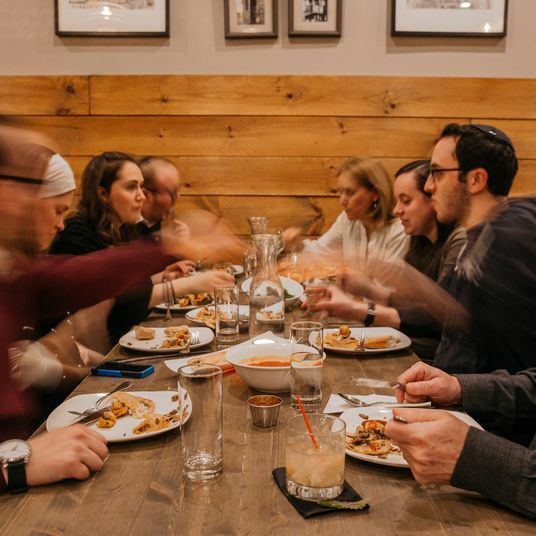 It’s the brainchild of Nico Russell, a Daniel alum who gained a following through pop-up dinners before settling down in a permanent space of his own. 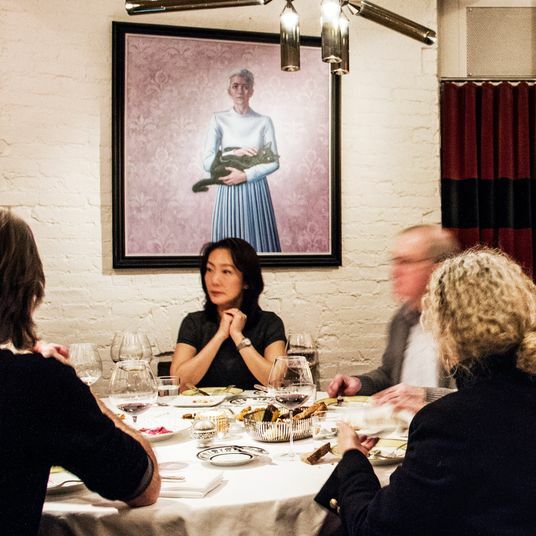 That space is segmented into an open-kitchened dining room up front and a glass-walled barroom in back; the former is the setting for the tasting menu, a relative steal at $60 for four-to-six courses. Russell’s cooking exhibits the influence of Paris’s low-frills, high-technique neo-bistros with a whiff of New Nordic, and a fondness for ingredients like spruce and whey and nori wafers. 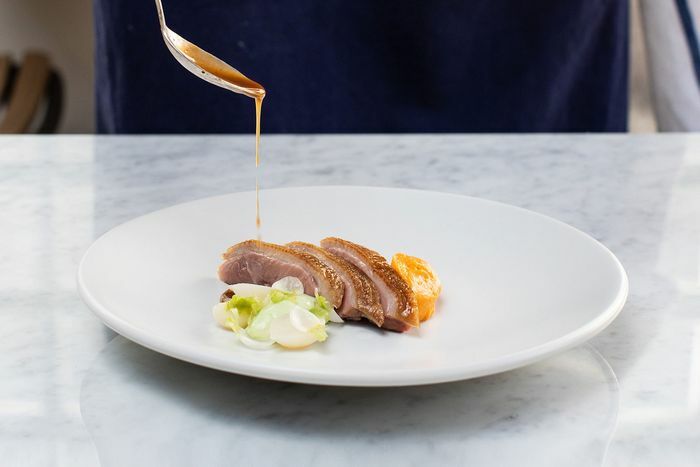 Though the menu changes often, roasted duck has become something of a signature, and the bar upholds the culinary standards with plates like creamy farro with charred brassicas and snails, which practically requires an order of house-made brioche to sop it up. 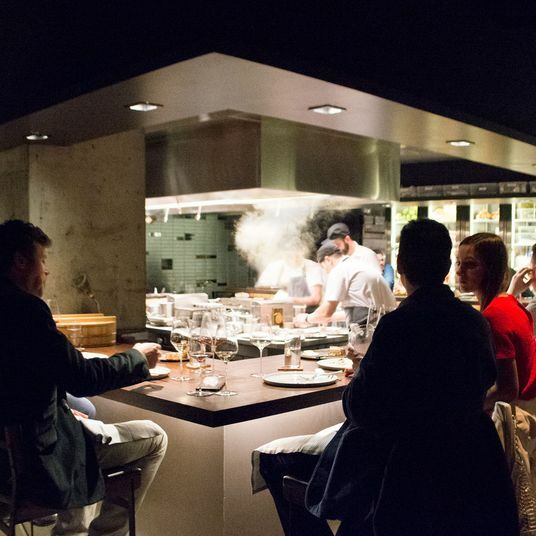 The service and the drinks are neighborhood standouts, too. The Islands has been serving the best Caribbean food in the neighborhood since 2001, but with the old bi-level space and sloped upstairs dining room, you would have been hard-pressed to find a reason to eat in there. At its new Washington Avenue home, the Islands owner Marilyn Reid has found a space where you’ll want to linger over your tender jerk chicken and perfectly braised oxtail. The Calypso shrimp is another crowd favorite, but no matter what you get, you’ll be doing yourself a disservice if you don’t add on an order of the formidable macaroni and cheese. We acknowledge all of the typical knocks against the Islands — glacial service, running out of dishes — but when you’ve got a plate of food this impeccable in front of you, none of that really matters. 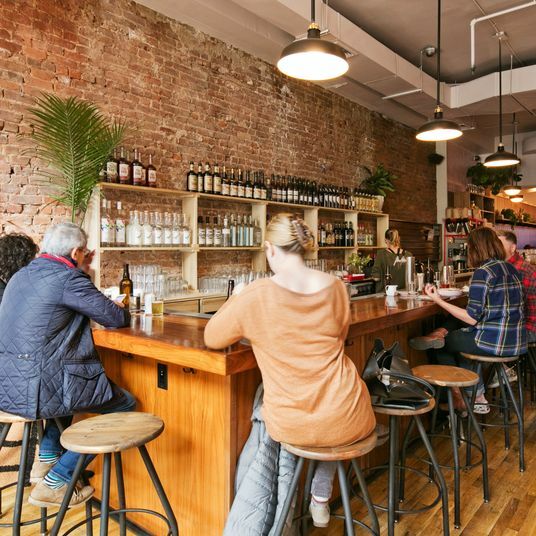 When we wandered into the old husk of the BKW space during Hunky Dory’s “super duper soft opening,” the place was packed, and with good reason: Even in its nascent, alcohol-free form this all-day café was firing on all cylinders. The scrambled-egg sandwich dripping with Vermont cheddar and caramelized onions is a standout version of that old classic, and the “green egg & ham,” with its off-putting Seussian name, is as delicious as it is inventive, taking its color from the chile broth the soft-poached egg and ham are served in. 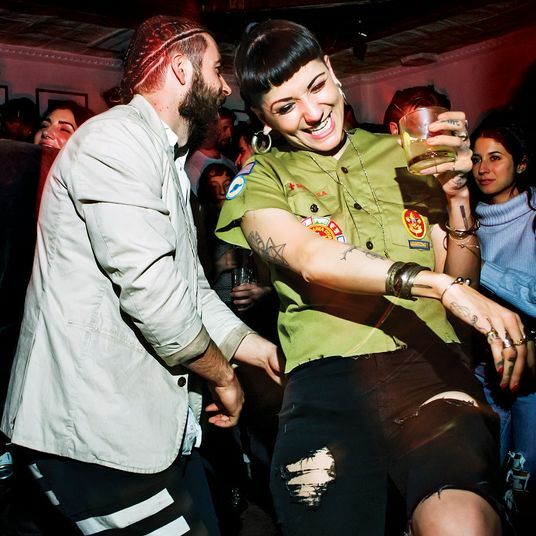 Now that the restaurant has its liquor license in hand and is serving drinks by San Francisco bartender Claire Sprouse, you’ll want to go for dinner service or late-night snacks (the kitchen serves food until 1 a.m.). If you’re with friends, order multiple servings of the cod “tots,” which will make you believe in a higher power. The real draw of this intimate sushiya off Nostrand from two Sushi of Gari vets is the expert yet affordable omakase, which is available at the eight-seat bar. For $70, you’ll receive three appetizers, ten pieces of nigiri, and a hand roll. 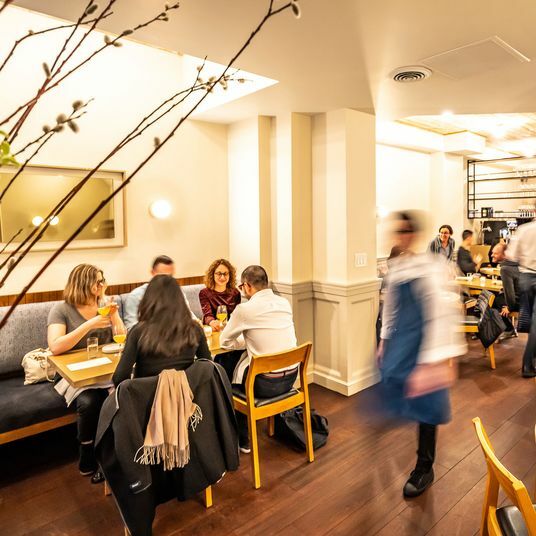 The fish is aged in-house and can go toe-to-toe with the more lauded omakase restaurants across the East River; some highlights include the fatty Spanish tuna and the mackerel from Nagasaki Prefecture, topped with sesame salt and thinly sliced shallots. 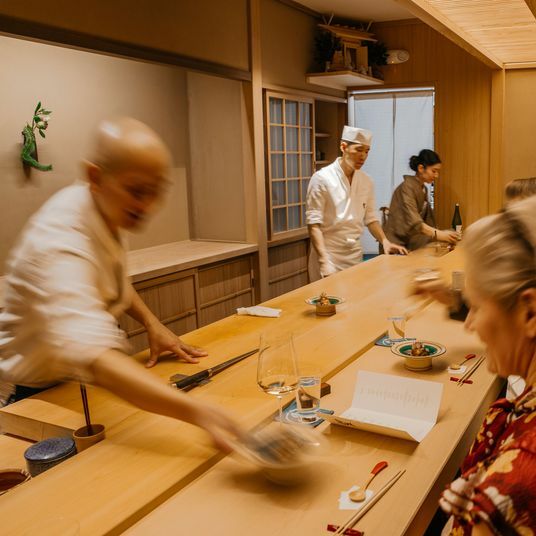 The service in the slender space is unparalleled, and the sushi chefs don’t rush as they explain the origin of the fish and often take into account your individual preferences (and occasionally will throw in an extra piece). 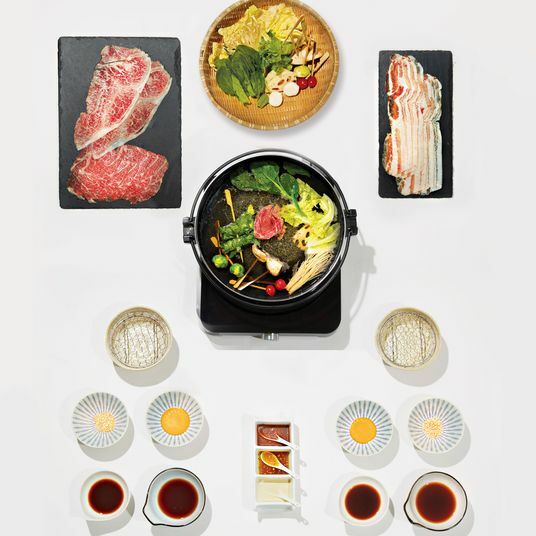 If you don’t have the time or budget for the full omakase experience, you can order à la carte in the main dining room. The only real downside here is that Uotora still doesn’t have a liquor license, and a meal this good calls for sake. 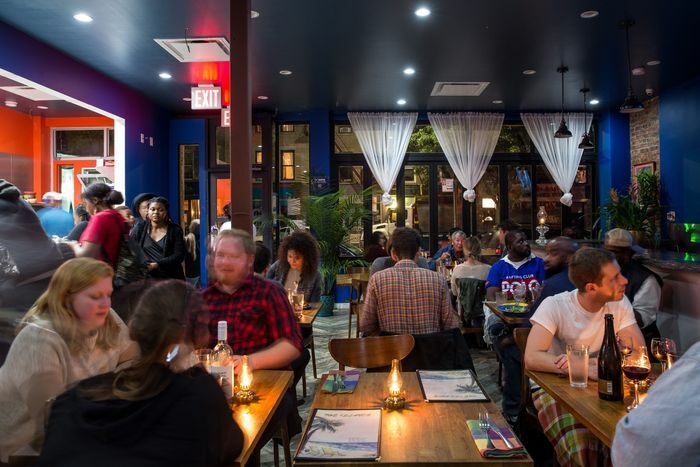 Rawlston Williams’s counter-service spot on the south edge of Crown Heights restaurant is rightfully lauded for some of the best Caribbean in the neighborhood. 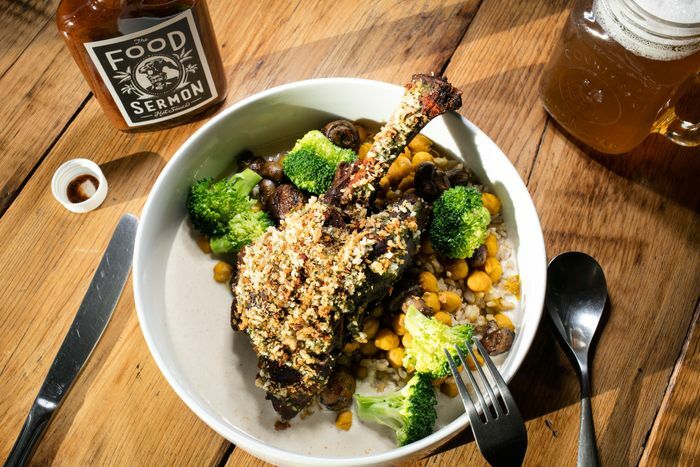 The massive island bowls are as filling as they are delicious, and you can’t go wrong with the succulent jerk chicken and oxtail that falls off the bone. But with limited communal seating, this location is best for takeout, especially if you’d rather wash your dish down with a beer than the (rather excellent) mauby on offer. 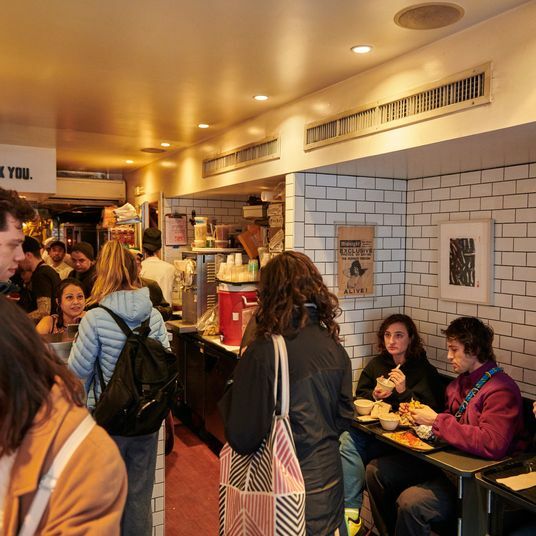 No sit-down restaurant along Franklin will serve you satisfying food faster than this lively technicolor spot, where the food zips out of the kitchen almost as soon as you order it. But, based on the strength of the cocktails from beverage director Shannon Mustipher, a rum whisperer who literally wrote the book on tropical drinks, there are few places you’ll want to spend more time lingering in. An ideal meal for two is the curried goat, an order of jerk pork, bok choy, and the savory festival, a Caribbean dumpling akin to a hush puppy. 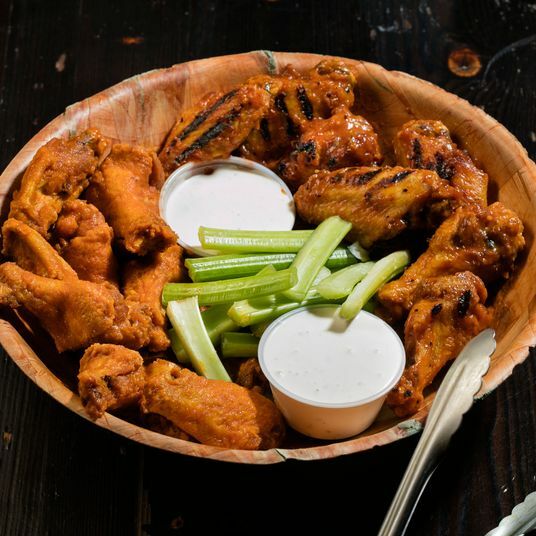 Pair these with the potent Painkillers from the bar and you’re in business. 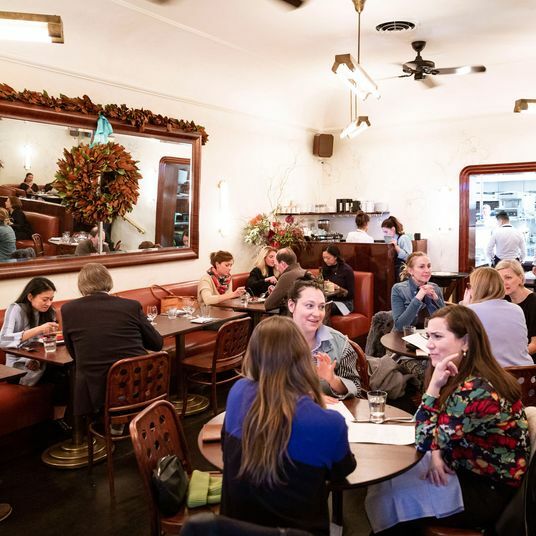 Located at the outer edge of Crown Heights, MeMe’s reimagines a classic diner, replete with patty melts and deviled-egg dips, with a uniquely queer sensibility, resulting in a restaurant that both comforts and delights. 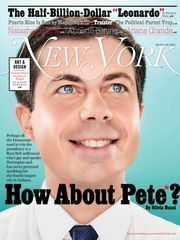 Here, the retro diner aesthetic is updated in a sleekly modern teal-and-tan color palette that highlights this melding. The patty melt, served on marbled rye, is delicious, and a staple of both the brunch and dinner menus. 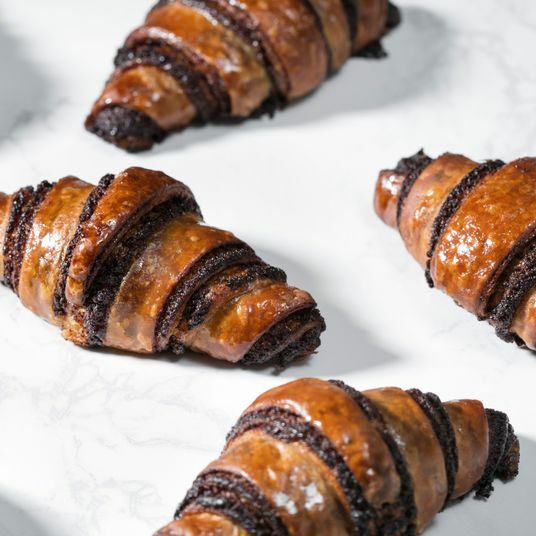 If the babkas are on the brunch menu, don’t miss them. While the food is all unfailingly excellent, MeMe’s does suffer from kitchen miscues like running out of a dish early in the evening or erratic coursing. 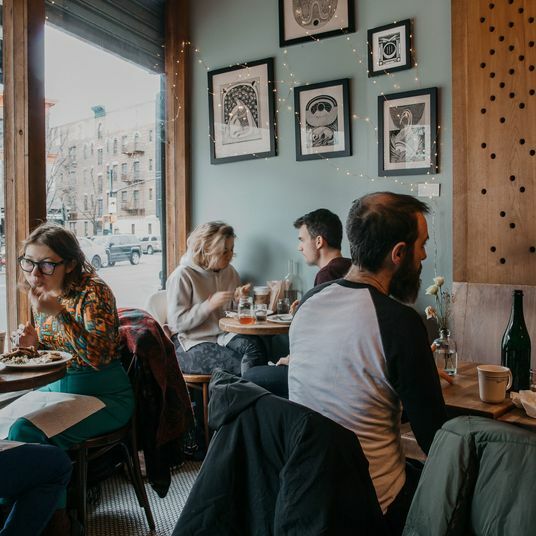 But the phenomenal baked goods make up for any deficits, which shouldn’t be a surprise given that owners Bill Clark and Libby Willis met while working at Greenpoint bakery Ovenly. Usually two seasonal pies or cakes are on offer. 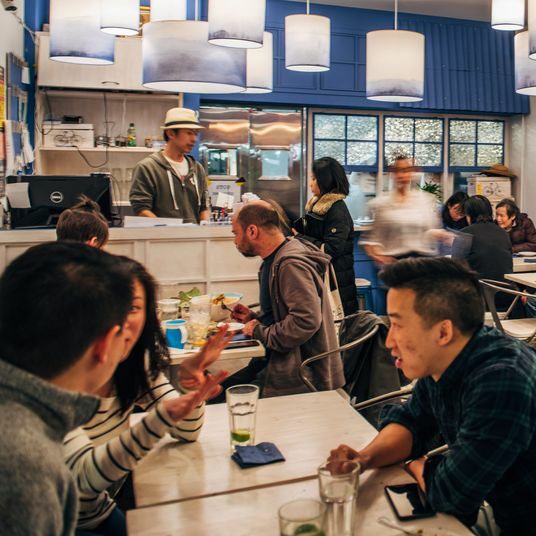 The brainchild of a Malian and Korean chef, who met working at a Thai restaurant, this all-day cafe off the Utica stop blends a number of culinary traditions, with results that are consummately satisfying. The coconut oxtail stew and Japanese chicken curry are packed with flavor, but the unheralded gems on the menu are the avocado toast, delightfully reimagined on fried-plantain tostones and doused with coconut beet sauce, and the fried rice with lomo sauce stirred in, giving it an incredible savory flavor. There are also a number of medicinal teas and juices on offer, including the compelling tumeric lemonade. 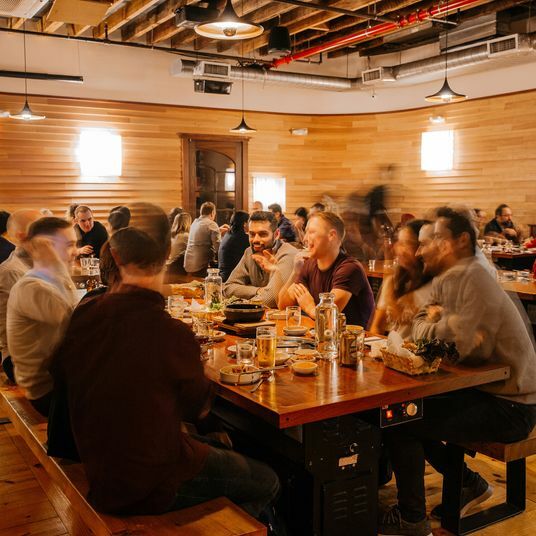 On a recent visit, we were the only ones at this brightly lit space, which is a shame because this is a restaurant that punches far above its weight and deserves some love. 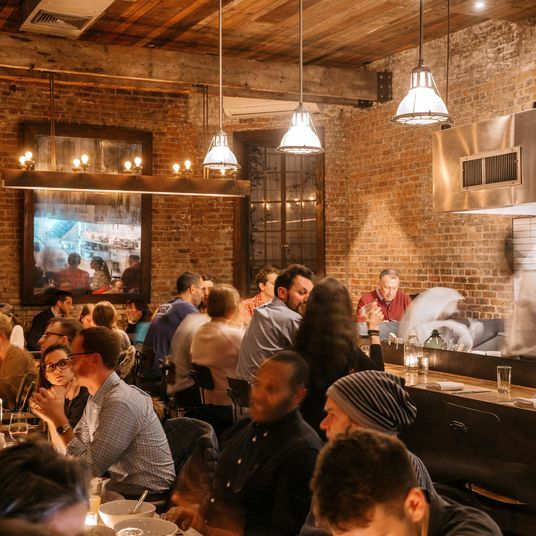 The calling card of this refined, comfortable sibling of Clinton Hill’s Aita is the formidable lasagna, which is as big as a bread box. All the pastas here are a marvel, in fact, especially the bucatini all’Amatriciana with its liberal chunks of pancetta, and the vegetarian-friendly spinach scialatielli with beautiful roasted vegetables in a basil pesto. As far as appetizers go, the octopus in a smoked-paprika vinaigrette is one of the best takes on the near-ubiquitous eight-legged starter that we’ve seen yet. Be forewarned that the portions are more than generous, so you’ll want to order judiciously to save room for the flourless chocolate cake. 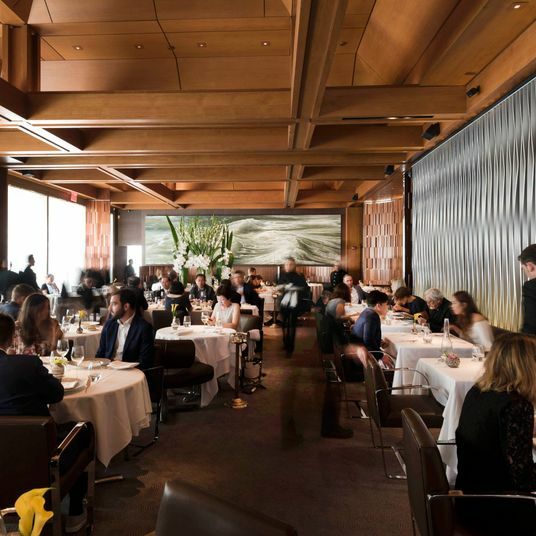 A small quibble is that the dining room often feels understaffed, so service can be on the slow side. 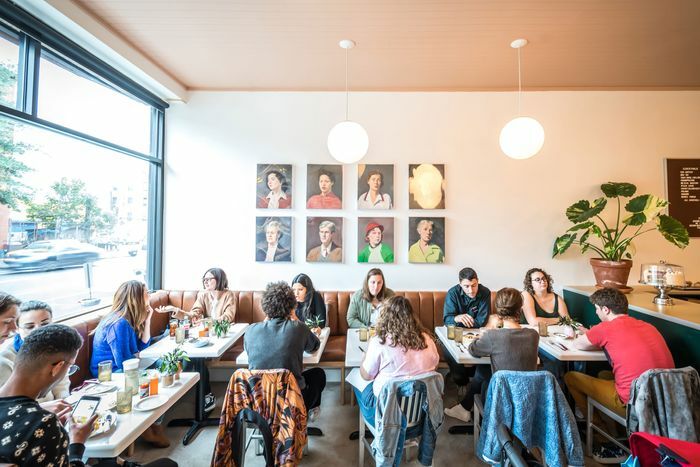 We would recommend this as an ideal date spot, but judging by the conversations at adjacent tables on a recent visit, it seems like the neighborhood has already figured out this selling point. 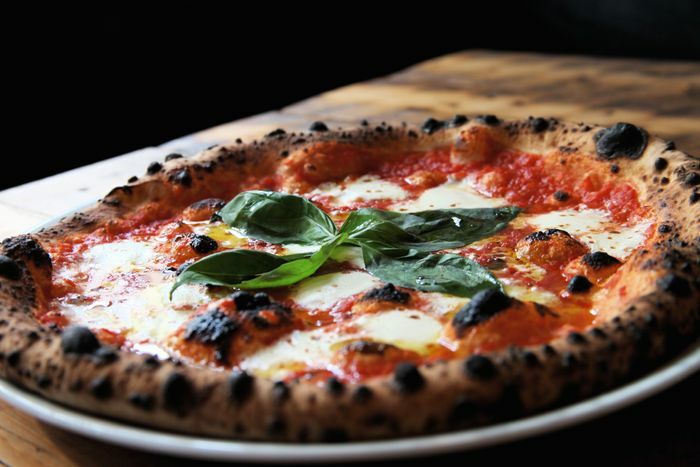 Nothing about this wood-fired Neapolitan pizza restaurant breaks the mold, but the grand sum of its attendant service, great beverage direction, perfectly crafted pies, and warm atmosphere make it a neighborhood restaurant you’ll want to keep coming back to. The wine list has a good selection of natural wines, and though the cocktail list rotates often, you can’t go wrong with the rye-based Old Faithful. Start with the burrata and the kale caesar salad, which will win you over even if you’re not a kale person. Both come with standout strips of garlic bread that have been cooked in the wood-fired oven. After that, a single pie will be more than enough for two. The classic margherita is a sure bet for Neapolitan-pizza purists, but the soppressata piccante with hot honey and the cremini-and-sausage pies have never let us down. 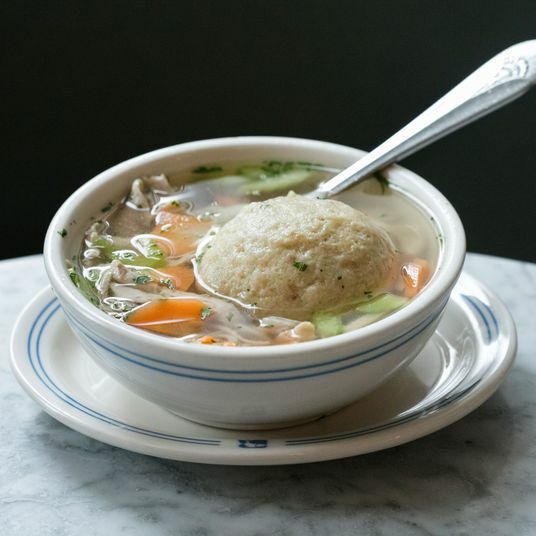 Michael Gordon’s small eatery off Franklin specializes in the very best of Ital cooking, a natural, largely vegetarian diet that eschews additives and comes to us from the Rastafarian tradition. Every dish on the menu here is loaded with flavor and, considering the high quality of the ingredients, remarkably affordable. The stews are the way to go for first-timers, particularly the Thai-fi Stew, that’s cooked in coconut milk and a flavorful Thai curry, and the broccoli-based stir fry, Stir It Up Nice. Note that Ital Kitchen is BYOB. 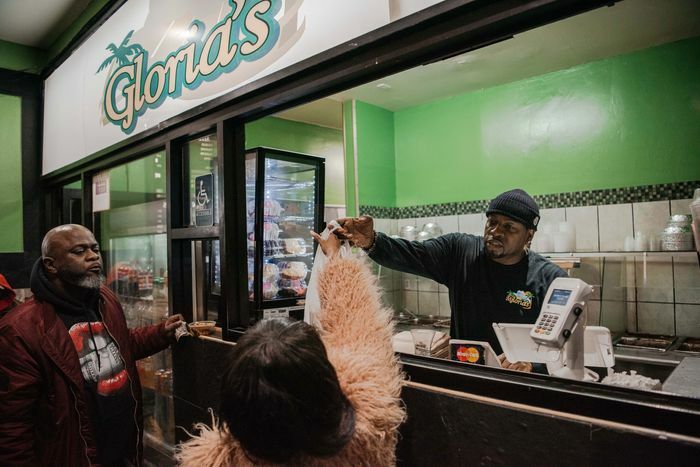 Since 1974, Gloria’s has been serving some of the finest Trinidadian food you’ll find in New York — and to our mind, the best roti around, especially the pumpkin and bhagee variation. 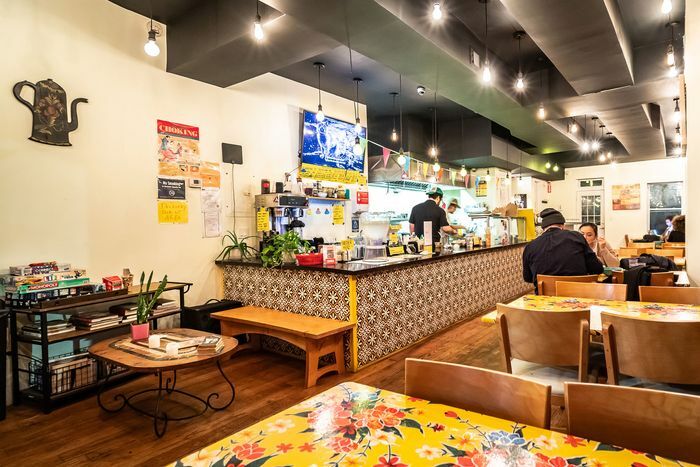 This sunny Latin American coffeehouse on Nostrand, from a veteran of the Momofuku empire, is your best bet for a salad in a neighborhood that isn’t particularly well-known for its lighter options. The kale and lentil is a favorite, and for brunch, you can’t go wrong with any of the sandwiches or the pork hash. 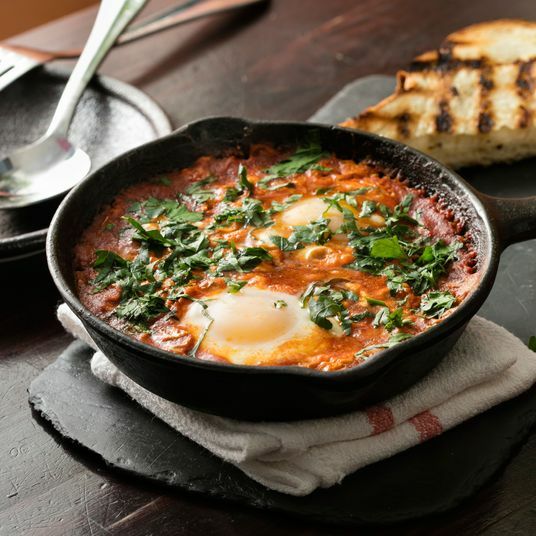 We especially recommend this place to anyone looking for a relaxed brunch location. From the maestro behind Williamsburg Pizza, this laid-back pie shop serves the best square slice around. As far as the grandma pizzas are concerned, go for the paesano, which is loaded with sausage and roasted red peppers, or the cup-and-char pepperoni grandma. But if we might be so bold as to steer you away from a grandma, the Sophia Loren white pie is the unsung gem of the menu. There are picnic tables for dining in, but this pizza joint is best for takeout or delivery. Order ahead of time to avoid long waits. The titular buns are, as you’d expect, very good — especially the Korean fried chicken ones — but if you’d like to branch out on the starters, try the cauliflower nuggets served with a gochugaru aïoli. The real stars on the menu are the ample bowls (our favorite is the bulgogi), which are perhaps a little too filling. Swapping in zucchini noodles in lieu of rice makes them more manageable for one person. Cent’Anni does a pretty satisfying plate of pasta and is a good choice for a casual meal alone at the bar. All of the handmade pastas here hit the spot, though the wild boar ragu with tagliatelle is your best bet for a hearty meal on a cold night. 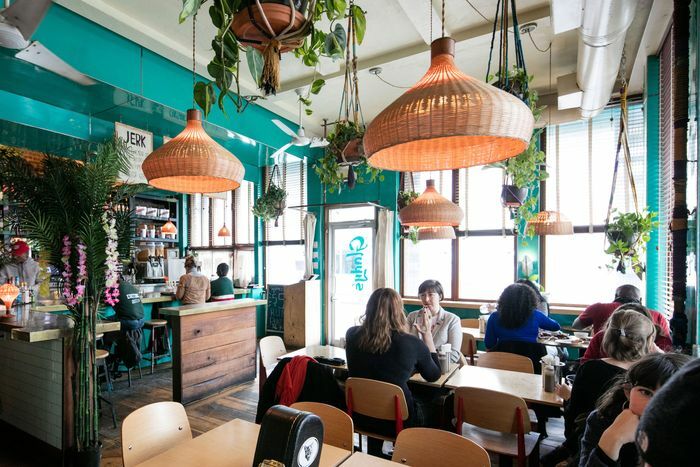 We’ll grant that this is one of most polarizing restaurants in Crown Heights, with neighborhood stalwarts who will either think it’s ranked much too low and others who will be incensed that it was even included, but for what it is — a homey, moderately priced Mexican restaurant — Chavela’s excels. 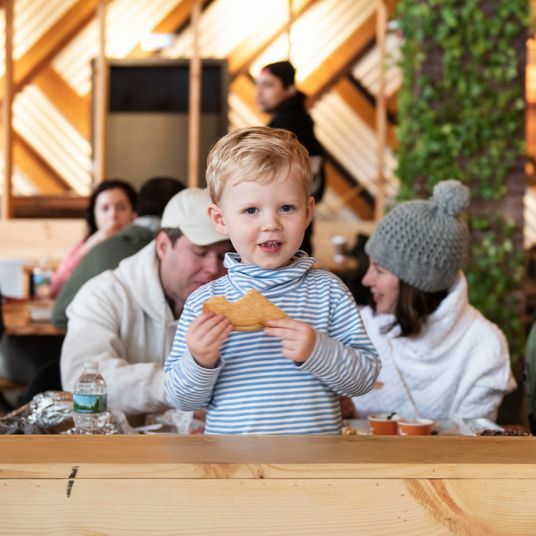 Some standouts on the menu include the huitlacoche quesadillas and fish tacos, available for both brunch and dinner, and you can’t go wrong with any of the mole-based dishes here, especially the Aurelia’s Mole, with chicken doused in a flavorful, chocolatey mole. For brunch, a pitcher of sangria is practically obligatory, along with the breakfast enchiladas. Their lobster and crab rolls are very satisfying, but you’ll keep coming back for the savory crab-and-corn chowder and pan-fried corn bread, which together comprise the perfect meal, especially on a cold night. That said, we might suggest ordering it for takeout since this cramped space can get a little drafty in the winter. During the summer months, grab a bag of the spicy steamed shrimp to eat at the outside tables.